Design Fantasy: Guestroom… or not. Our current guestroom is basically my room from when I lived at home in college, but moved to our house. We have decided that when we have a baby, that room will be the nursery. It is closest to our bedroom and the windows lead to the backyard, making us feel safer about our baby sleeping there. In our video submission for the design show, we said that the guestroom would eventually be the nursery, even though we’re not pregnant yet. We even pointed out the paint swatches I have taped to the wall (yes, I’m crazy, we all know that now, moving on). Ideally – and I know life doesn’t really respond to my plans the way I want it to – I would be pregnant by the time we film the show and they might design the nursery for us. If not, I guess they would design it as a guestroom or just leave it the way it is and not feature it on the show. For her first special, Emily did 4 rooms in Ian’s house, which is what I am basing all of this off of. This is my very favorite girl nursery, found on People Magazine. I love the lavender paint and the tree that is built off the wall and the birds and the fluffy rug and the chandelier… I just love it. I really like this boy’s nursery from Restoration Hardware. I love the sailboat theme, but I don’t think it is taken too far. 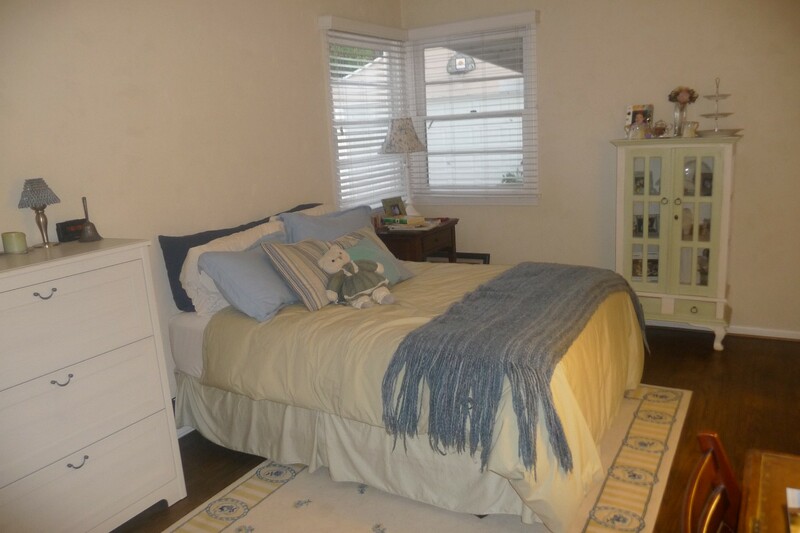 The bedding is still simple and not too cutesy (I dislike the bedding with pictures of stuff all over it) and the colors are muted enough to fit with the rest of the house. 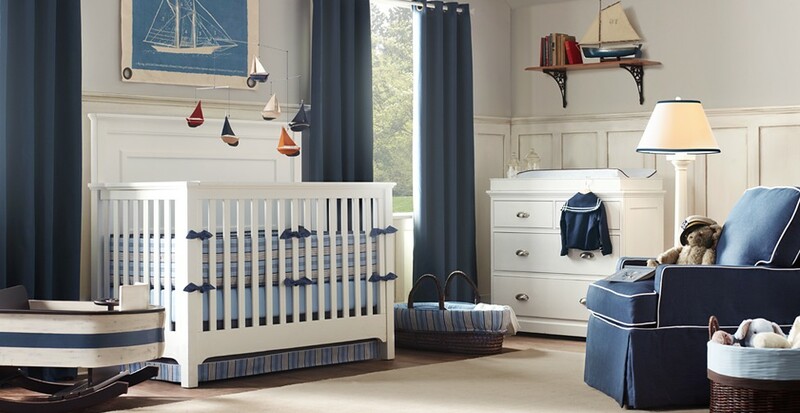 This nursery from the boo and the boy leans toward “boy” without screaming “BOY!” I love the soft blue on the walls and the white furniture. This one is from spearmint baby. 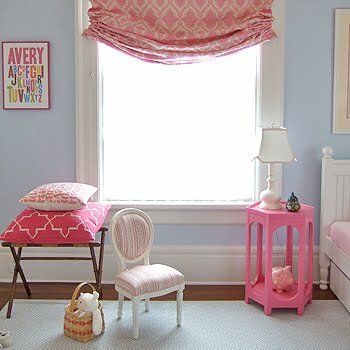 It has a similar wall color to the first one, but with the pink accents, it is obvious a baby girl lives here. I also adore the book shelves that allow the covers to be showcased. A reading corner is a must for me (I am an English teacher, after all). 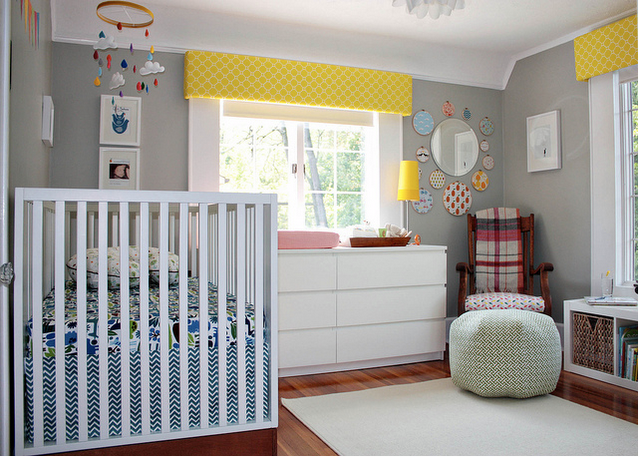 While having triplets seems like my worst nightmare, this room (also from spearmint baby) is quite lovely. I feel relaxed and at peace when I look at it and hopefully my baby would, too. 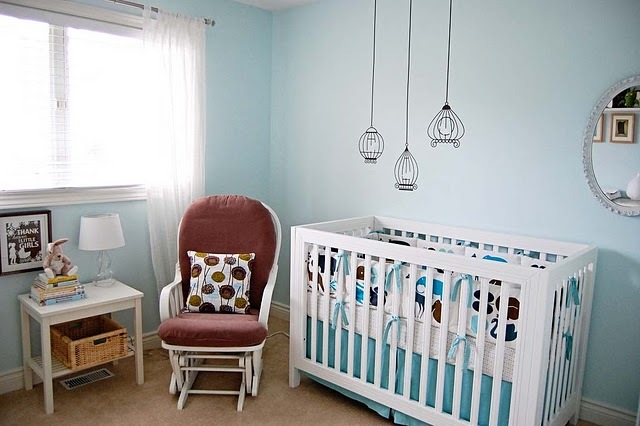 Again, the light blue/gray walls and colorful accents make this room (from spearmint baby) sing. That poster with the little girl’s name and the alphabet is calling me. I want it. This room from with two cats just feels home-y to me. The combination of fabrics gives visual interest and creates a very comfy vibe. I’d love to rock my baby to sleep in that chair. I have loved this nursery ever since I saw it on design sponge and it led me to follow with two cats. 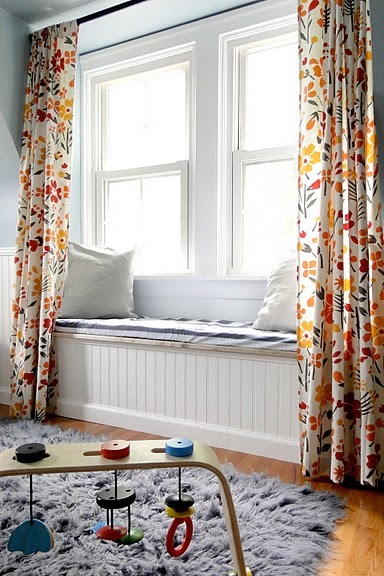 I love the neutral gray walls and bright colorful linens (though I’m not really a fan of orange). My husband’s parents also have a crib just like that that we could paint white. 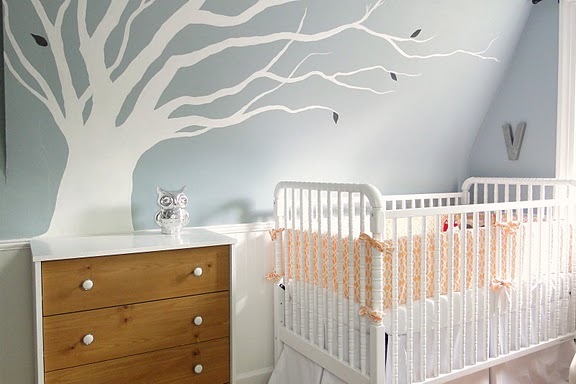 I love the tree wall decals for the nursery. I've actually been looking at some because I really want to update Carter's room! Its been on my mind lately, but of coarse time and money are always the problem. I still have pictures that we never hung in his room!!! Actually, none of them are decals! The first one is wood that is cut out and painted and attached to the wall (that's what I would want to do) and the other is hand painted by that blogger. I like the decals, too, but with the texturing we have in that room they wouldn't work. Plus, Mike's mom is such a great artist and will paint anything if we show her a picture. OR, maybe we won't have to do it ourselves!! http://www.facebook.com/profile.php?id=1489640736#!/photo.php?pid=3784493&id=509674054&ref=fbx_albumSee if this link works for you, Amy. This is the nursery of a friend of my niece. It's a baby boy's room and has the tree decals you like. Amy, I love all the nursery Ideas, they are so pretty. And don't worry your not crazy for already thinking about it before your pregnant. I had to build a nursery for our first son and the beginning of his adoption. We also had to plan for neutral, Its not too bad to do even though you really want a girl. One thing about some of the designs, some of them have stuff near the cribs that you really wouldn't want a baby reaching for. I should tell you (espeically with boys who are busy bodies) once they can, if they can reach for it they will and they will pull it into the crib. Some of the trees looked like they had birds that might be sticking out and not just paint. Just something to consider, in general all decorations and furniture in our rooms had to be moved away from the cribs because little hands kept getting to them (even the baby monitor on a dresser got yanked into a crib) Hope that helps a little when designing your rooms.